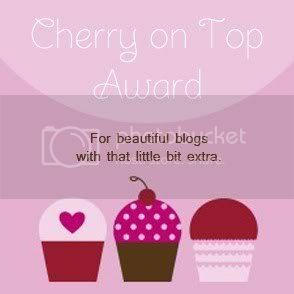 So friends this has been a season of awards, I was nominated for Avant Garde Blogger awards. The final results have been out and as I have been told, I have secured the place amidst esteemed bloggers for being the blogger whose rant is second most interesting. Now coming back to basics I am a tad too confused, if I should be happy that I won an award or be sad that I am recognized as some who would rant a lot. Given the fact the crazy bloke I am, I choose to be happy and shout Yay!!!! Okay so going in line with the rules, Thanks a lot Monika, you absolutely raowck!!!!! Here are 3 things I love about myself. 1- My habit of making friends with people- Given the instances where I have displayed unparalleled human stupidity, people have still chosen to stick with yours truly. I don’t know why but whatever it is that makes me friends with people is something I love about myself. 2- I love that I am an avid reader, I have grown to a better and a more self-aware person all courtesy my reading habit. 3- I love the fact that I enjoy driving, be it an open highway and clear roads, or a jam packed traffic filled commute. If I have a good vehicle I don’t mind driving. 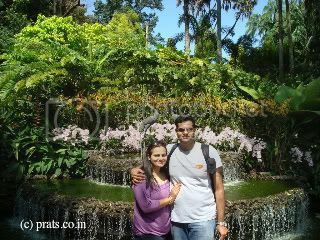 Now for the picture, this one is from our honeymoon and marks my journey of life with Wifeee. Nothing better than this in my life, and this picture captures it all. @IHM: Lolzz thanks a lot. Congrats Prat for the double awards. . First time at your Blog, and i intend to keep coming. .
@Savvy: Thanks a lot, hope you like it here. awww thanks!! I will do the tag as u suggested 😀 nice pic!! I like the pic. which place??? Books, driving, beautiful wife , you have a great life Prats. mubarakan dost.